There is an old saying that goes something along the lines of: “It’s an ill wind that blows no good to someone”, and as the international airline industry once again looks worriedly towards the storm ravaged north Atlantic, and in particular the beautiful island of Iceland and its explosive geological armoury, for them and their winged fleets an ill wind hangs ominously in the air. Following weeks of intense seismic activity, including 1,000 earthquakes in one day (21 August), a minor eruption near the Bardarbunga volcano has finally started, threatening a repeat of the devastating impact of the 2010 ash cloud on global air travel. Mother nature, as is her wont, is reminding us all who’s really in charge. But as the adage suggests, it can’t be all bad, and if ever there was a breed of people who were born to make good out of bad and even positively thrive on adversity, it is the hardy natives of that geological hell’s kitchen which is their home Iceland. But what could any of this possibly have to do with the faraway world of watches and watchmaking? Actually, quite a lot as it turns out, because away up there in the city of Reykjavik is where one will find the JS Watch Co and their pretty special timepieces. Established in 2005 by Master Watchmaker Gilbert Guðjónsson and Technical Director Sigurður Gilbertsson, JS Watch Co Reykjavik are essentially a father and son watchmaking business, who proudly claim to be ‘probably the smallest watch manufacturer in the world’, and whether that is true or not, they can almost certainly lay claim to being the most remote watchmakers in the world. With inspiration and an island mentality which comes from the visceral and organic world that surrounds them, the JS Watch Co approach to their watches - and their wonderfully self-deprecating marketing campaign - is as individual as they are. Whilst the airlines were wringing their hands with anguish following the famously disruptive Eyjafjallajökull eruption, at JS Watch Co, they were out and about collecting bucketfuls of the volcanic ash and devising how it might somehow be introduced into their watchmaking, and in typical Icelandic fashion, with their limited edition Frisland Goð timepiece they worked it out, to spectacular effect. The boring stuff first; the JS Watch Co Reykjavik Frisland Goð is a 42mm stainless steel three-hand day and date watch with a Swiss made automatic movement, but what they have created around these fairly standard watchmaking parameters is an astonishingly beautiful timepiece. Beneath a curved sapphire crystal the black dial has a rough, uneven finish, because it has been hand formed by creating a unique resin using volcanic ash from Eyjafjallajökull. The large arabic numerals and hour markers, which adorn the dial like road markings, glow in low light thanks to the ‘white luminous material’ which also highlights the rhodium plated hands. The date window is found in a familiar 3 o’clock position, but the two-character day window is more central than commonly found, just in from the 9. A soupçon of red is used for the seconds hand and the “Goð” text, and that little detail adds a perfect contrast against the earthy black dial and bold white markings. The super-hard 316L stainless steel case has been completely hand engraved, with ancient Icelandic decoration adorning the bezel and lugs, and around its flank the word ‘Ísland’ has been engraved in "Höfðaletur" a traditional Icelandic font , although it is worth noting that as the Frisland Goð is hand made to order, any short word can be placed here on request, as recent visitor turned customer Tom Cruise discovered when he took possession of his personalised piece, pictured below. Turned over, a sapphire exhibition caseback reveals further traditional decoration and lettering on the oscillating weight of the customised Swiss made movement which will run for 38 hours when fully wound. All in all, the JS Watch Co Reykjavik Frisland Goð is a remarkable wristwatch which is packed with character, reflecting the personalities of the people behind it and the inborn resilience to rise above a challenge for which their countrymen are famed. 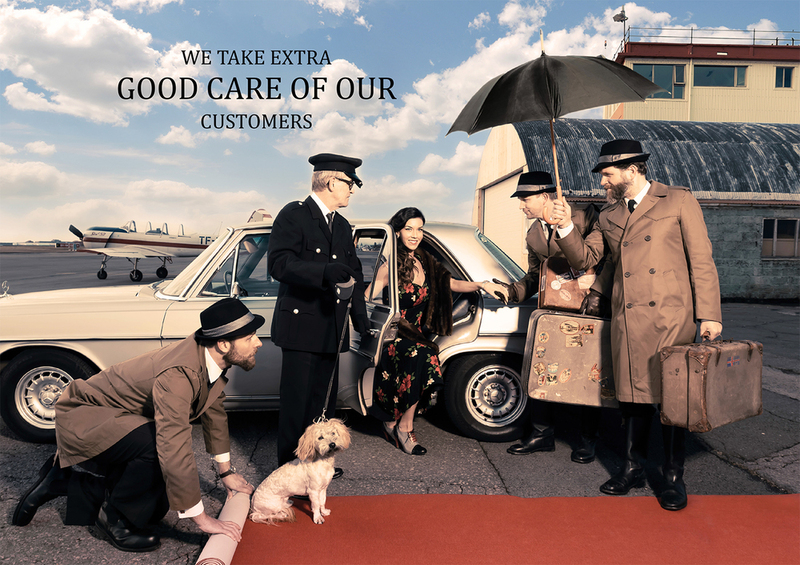 You will smile at their excellent in-house advertising imagery, in which the actual characters are depicted as being as human as the rest of us, and revealing a typically Icelandic sense of humour. And so when major international industries are pulling at their faces with the threat of their planes being stuck on the tarmac, it is pleasing to know that out there, someone, somewhere is laughing at the same problems, and creating treasure out of dust. The world is a better place thanks to people like Gilbert Gudjonsson and his small group of family and friends, whose combined mastery across a palette of skills make the JS Watch Co Reykjavik what it is; very special and uniquely Icelandic.